Get your Mazda Service at Harris Mazda! 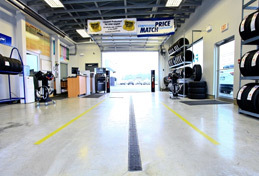 Vehicle service is extremely important for your car’s longevity and performance. 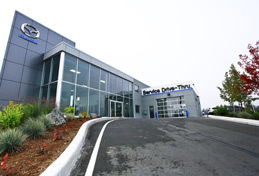 Harris Mazda has one of the best service centre facilities in the Nanaimo, Duncan and Oceanside area. With fully trained technicians to state-of-the-art technology and resources, you can rest assured that your car, truck, or SUV will receive the Mazda service it deserves. From the moment you walk into our dealership, you’ll see why we’re the best. We offer the most professional service, from actual vehicle maintenance all the way to customer service. Whether your vehicle needs an oil change, a tire rotation, or other regularly scheduled maintenance, you can count on our team to get you back on the road in no time. At Harris Mazda, you’ll benefit from the comprehensive services we offer. 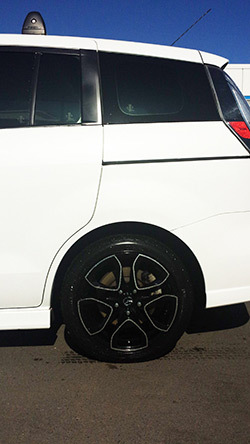 Our fully trained and talented technician use their skill and expertise to thoroughly diagnose your vehicle and offer you the best possible solution for your vehicle and your budget. Plus, we always offer a variety of vehicle service specials, so you can get the best service at the best possible price. Harris Mazda in Nanaimo offers maintenance service changes. You can leave your vehicle or wait in our comfortable waiting area. Either way, we’ll get you back on the road quickly. Where can I get my tires changed or rotated? Changing or rotating your tires is important for vehicle safety, and Harris Mazda offers quick tire changes and tire rotations. Where can I get windshield repair or replacement? Cracks or damage to your windshield can be dangerous, so it’s important to get them fixed quickly. 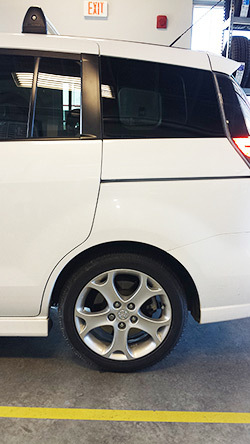 Harris Mazda offers comprehensive windshield repair or replacement so you can have a nice clear view of the road. Do you service diesel and hybrid engines? At Harris Mazda, our team of talented technicians are skilled in a variety of engine types, including diesel and hybrid. No matter your vehicle, we have an expert who can service it properly. Do you only service Mazda vehicles? While we specialize in Mazda service, our team has the skill and expertise to handle vehicle service for any make and model. Whether you’re in need of regular Mazda service or something more comprehensive, Harris Mazda can help ensure your vehicle efficiently and safely moves through the Nanaimo, Duncan, and Victoria roads. Schedule your service appointment online for your convenience, or contact us at 250.758.9125. When you do visit our Mazda service department on Vancouver Island, we welcome you in a comfortable lounge where you’ll find everything you need, including WiFi, a kids’ play area, free coffee and tea and more. Schedule an appointment for service online or by telephone at 1-844-537-8693 today.At Harris Mazda, you’ll benefit from comprehensive services for Mazda maintenance and repair in Nanaimo. We feature the best team of automotive technicians on the lower island, and have cutting-edge equipment and diagnostic tools to ensure work is fast and well-done.